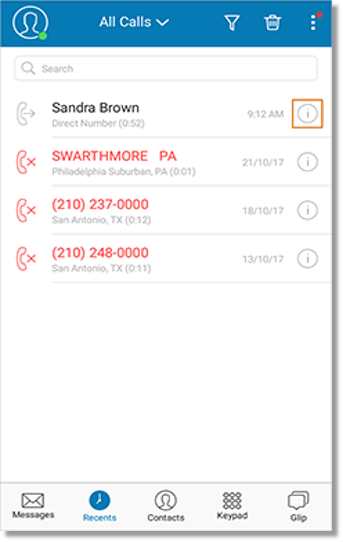 VoIP calling on the AT&T Office@Hand Mobile App allows you to place calls from an iOS or Android device without consuming your airtime minutes. 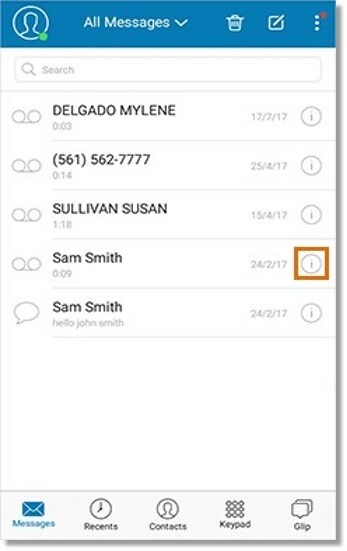 You can place VoIP calls from the Mobile App’s Keypad, Personal, Company, Favorite Contacts list, and from the Call Log and Messages sections. 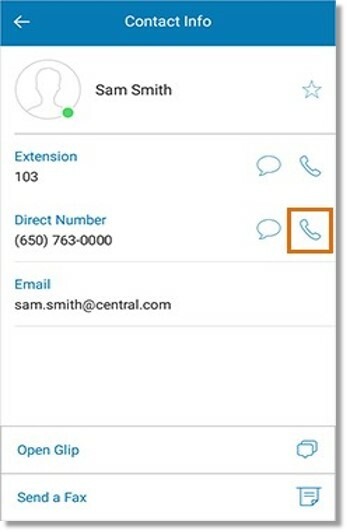 The AT&T Office@Hand Mobile App allows you place VoIP calls from an iOS or Android device. VoIP Calling enables you to make phone calls over the Internet, without consuming your airtime minutes. IMPORTANT: Ensure that VoIP Calling is enabled in your AT&T Office@Hand Mobile App. See Mobile App – VoIP Calling – Overview | AT&T Office@Hand for more information. You should be logged in to the Office@Hand Mobile App before you can place outgoing calls. You can place a VoIP Call from the following sections on the Mobile App. Enter the Phone Number of the person to call, then tap the Call button. TIP: See Contacts – Import Personal Contacts List | AT&T Office@Hand to learn how you can import personal contacts to your account. 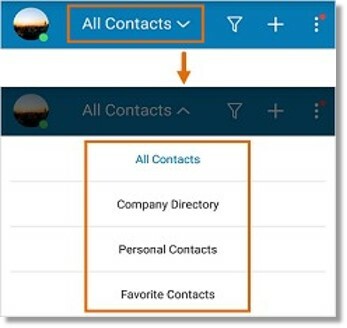 Tap the drop-down arrow, then select the list of Contacts to view. Tap the name of the contact to call. 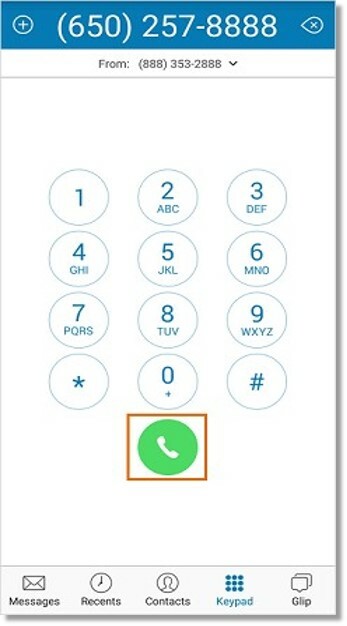 Tap the Call button next to the contact’s phone number to initiate a call. 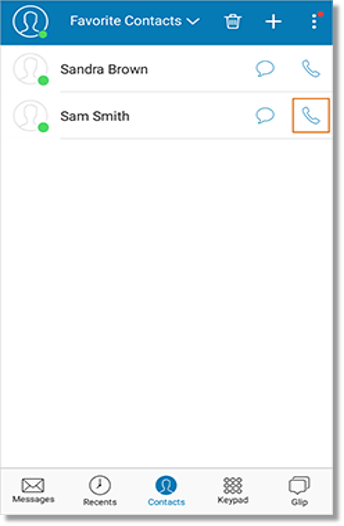 Tap the Call button next to your Favorite contact. The Contact Info will open. Tap the Call button.